Every Sunday our dining area is filled with giggles, yelling, drawing, cats, children, teenagers, books, art supplies, raised hands, and learning. If you’d told me 6 months ago that we would have a regular attendance of kids show up, on time, every week for English lessons – I would have laughed. 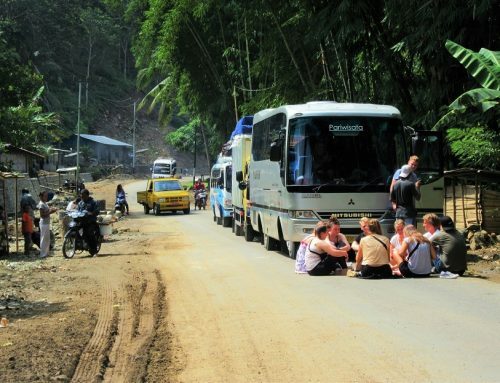 If you have ever lived on an island, or visited Indonesia, I am sure you know what ‘island time’ feels like. It’s the rule rather than the exception in our tiny village and with fair reason too. There are water buffalo to graze, fire wood to collect, rice fields to tend to, dinner to cook for your ever expanding family. Of course you’ll do these more important things before sitting down to eat cookies and learn English with your friends! Totally aware of the chores at hand for our villagers – we have been trying to motivate them to come to English classes for the past 11 months. Not just because we want them to learn English to improve their chances when on the job hunt – but because they’ve asked us for them as well. Without fail, every week, another handful of adults and kids ask ‘Why aren’t you having lessons?” We must then tell them – well we DID have a lesson….but nobody showed up. So we broke off our pattern of having lessons every week and started having ‘special lessons’. 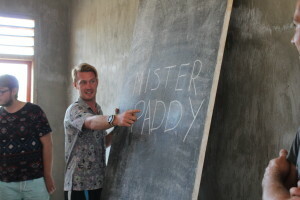 Whenever groups came to visit us – we offered English lessons with guests. Having guests is exciting for the village as they love to interact with new people and make new friends. There is always an all star turn out at the group lessons. The question became – How do we get this turn out every week, with or without guests? The answer – show them learning is fun. I know that seems silly and like we should have been doing that all along. And we were! 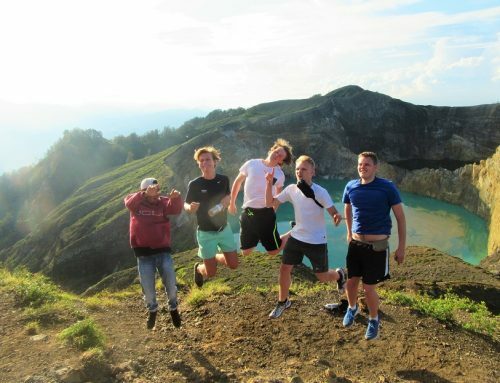 It turns out – it just had taken a long time for them to really enjoy spending time learning English. About 2 months ago – after group lessons – the kids were asking if we could do it again tomorrow! Every time they would ask, we would comply. very lesson involves songs, flash cards with pictures, new full sentences, prizes, fresh fruit, & clean drinking water from our water gallons (instead of single serving cups!). We learn about recycling, litter, the environment, the ecosystem, animals, sanitary food practices, how to be polite, and how to be patient. Fortunately all the kids are already really polite – so we don’t have to work too hard on that one! So I want to take this chance to thank everybody that has come to Pante Hera and helped us with our English Lessons. 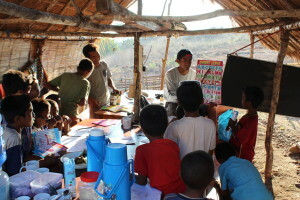 You have made this fun for the entire village & they continue to come to lessons and to expand their view on the world. They will grow up to be ambassadors for their village & their beach & will know that people around the world care. Passing this on to their children, their village will have bright future ahead. 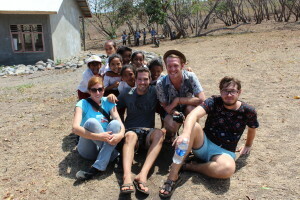 If you’re headed to Flores and you would like to help our English Lesson efforts, consider Packing for a Purpose. If you have extra room in your bag or extra office supplies laying around that you’ll never end up using – we would love to put them to good use!